Koloa, Kauai, Hawaii – Construction is underway on a new collection of plantation-style cottages that will be part of the lodge hospitality program at Kukui‘ula, one of the newest luxury golf course communities in America. This collection of 15 single-family cottages will be clustered immediately adjacent to Kukui‘ula’s new $100 million private club and spa that serves as the social and recreational centerpiece of the community. 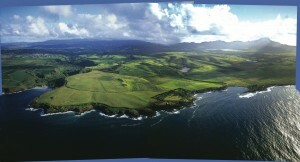 Located on the south shore of Kaua‘i, Kukui‘ula is the first major new luxury community in Hawai‘i in over a decade. 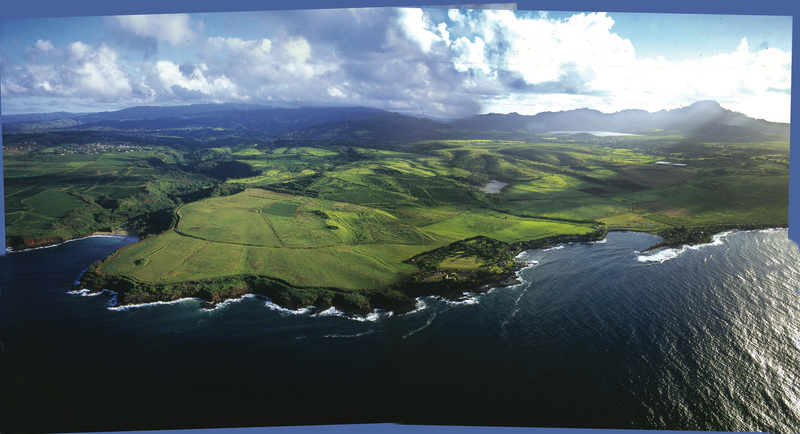 The 1,000-acre Kukui‘ula community is being developed by an affiliate of A&B Properties, Inc., a subsidiary of Alexander & Baldwin, Inc. of Honolulu, and DMB Associates, Inc. of Scottsdale, Arizona. Kukui‘ula’s Club Cottages start at $2.35 million for a fully furnished residence. These approximately 2,200 square foot residences reflect the charm and character of Kaua‘i’s gracious plantation-style architecture, are luxuriously appointed and especially designed for indoor/outdoor living. A covered entry with dark wood decking opens into a gracious great room complete with living room, dining area and gourmet kitchen. Expansive glass doors disappear into the walls blending the indoor living space with a large covered rear lanai, which functions as an outdoor living and dining room. Dual master bedroom suites offer thoughtfully designed closets with built-in shelving, drawers and electronic safes. Each master bath includes two sinks, a pedestal tub, and an interior shower that opens to a private outdoor garden shower. Finishes include dark ipe wood flooring throughout, black granite kitchen countertops and honed Carrera marble in the baths. The kitchen features a top of the line stainless steel gas range, refrigerator and dishwasher. To provide storage for owners’ belongings when they are not in residence, a generous lockable storage space has been designed into each home, but is tucked discretely out of view. All indoor spaces are air-conditioned. Each cottage is offered with a comprehensive, professionally designed interior furniture and fixtures package that is ready to move in and enjoy, including luxurious furnishings, linens, artwork, accessories and electronics. The cottage lots are approximately 12,000-square-feet each and include lush Hawaiian landscaping, lava rock walls, stone fire pits, and personalized front yard options that range from a large private yard with open space for entertaining; a separate guest cottage with master suite, luxurious bath and wet bar; or a one-car garage with storage and an attached carport. The Club Cottages are being developed by locally-owned Seina Properties LLC, the sister company of Unlimited Hawaii, the project’s general contractor. A leader in sustainable building, Unlimited has received numerous government and industry accolades for its stewardship efforts. The Kukui‘ula Club Cottages are being built to meet Leadership in Energy and Environmental Design (LEED) specifications. The first four residences are anticipated to be completed by the end of the year. Owners of the Club Cottages at Kukui‘ula will enjoy full use of the amenities and services of The Club at Kukui‘ula, including the main clubhouse, known as The Plantation House, the Plantation Spa (opening in April), the Golf Clubhouse, and a Tom Weiskopf-designed 18-hole championship golf course.